Rather darkened, and more post punk-oriented than a few of their latest offerings, prolific Scottish up and comers, The Ninth Wave, unveil their video for a fresh single, Half Pure, which carries the band's characteristic qualities that institute a charming and memorable listen, while its pristine production and mixing come with the signatures of Dan Austin (Massive Attack, iLikeTrains, Queens of the Stone Age and many more) and Alan Moulder (Ride, My Bloody Valentine, NIN, The Smashing Pumpkins and tons more) respectively. 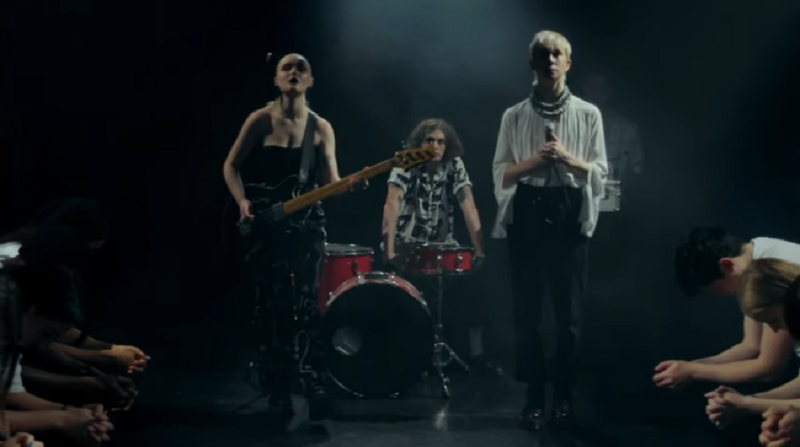 The band reveal about the wonderful visual which accompanies their new single: "The video portrays the result of answering to the expectations set by the vain society we are all a part of." Courtesy of Rianne White the video depicts an unusual fashion show with the band giving their best alongside the models on the runway stage, and it serves as a dynamic commentary on consumerism. Next week The Ninth Wave head off on a UK tour with whenyoung, followed by a support slot for CHVRCHES at SSE Hydro Arena, Glasgow. Half Pure is out now through Distiller Records.